Alderson Racing has been successfully training racehorses in Australia for over 40 years. Now into its third generation of horse trainers, Cindy Alderson obtained her licence in 1990 and Colin Alderson held his training licence from 1966 up to his retirement in 2016. Together, Colin and Cindy have achieved a number of firsts. In September 2006, they were among the first Australian Trainers to form a racehorse training partnership. 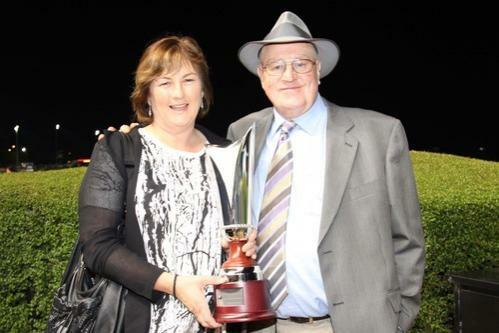 Since then, Colin and Cindy have achieved the first Australian Winner, the first hurdle winner and the first Australian Group Winner trained by a partnership. Each horse trained by Cindy benefits from her strength of horsemanship, experience, innovative ideas and uncanny understanding of the equine psyche. Cindy Alderson's racing team has the facilities, technology and a commitment second to none that ensures their horses are given the best possible chance to reach their full potential. Without doubt her greatest satisfaction in this industry comes from sharing the thrill of racing with her owners, family and friends. When owners ring to enquire about their horse, they are never put on hold, only to be answered by a ‘client liaison officer’. At Alderson Racing, you speak directly with Cindy, the next best thing to the horse's mouth! We love horses and we love racing. To say racing is in our blood is a given. Come race with us and it’ll be in your blood too! Cindy may have served the longest apprenticeship ever in horse training. Since getting on a horses’ back at the age of three, Cindy has been under the watchful, coaching eye of her father, Colin. She went on to compete in many Equestrian disciplines including winning a State Level Championship. After completing her Teaching Diploma in 1987, Cindy enjoyed a two year sojourn overseas, where she worked and gained experience at stables in the UK, USA and New Zealand. In 1990, Cindy obtained her Training Licence, being among the very first women in Australia to be granted a permit to train. She achieved metropolitan success with the first horse she trained – ‘Old Magician’. For a brief period, Cindy was employed by Racing Victoria to implement and run a Traineeship program for the industry. Later, she was employed by Victoria University to write resource materials for racing industry training. In 2000, Cindy committed to training full time and draws on her own experiences and the shared knowledge and experience of Colin. Cindy is an excellent student of bloodlines and has a keen eye for a future champion.